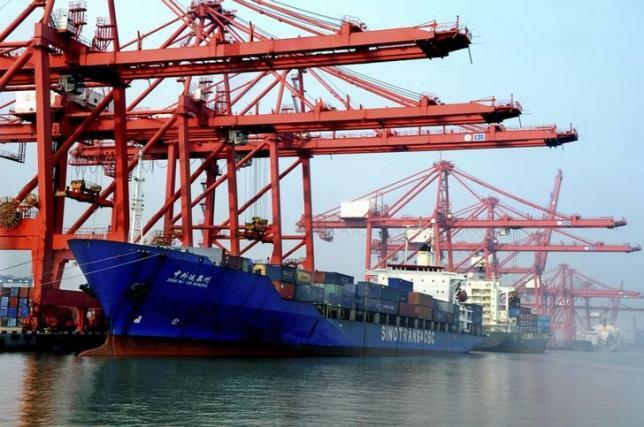 SINGAPORE – China overtook the United States as the world’s top importer of crude oil for the first time in April, and its purchases are expected to remain strong despite a slowing economy, with far-reaching consequences for global oil and commodities markets. The soaring imports came as a surprise as growth in the world’s second-largest economy was sputtering and its oil demand was expected to ease. However, low oil prices and China’s series of interest rate cuts – including one over the weekend – in a bid to stoke growth are factors boosting demand. China’s crude oil imports hit a record of almost 7.4 million barrels a day (bpd) last month, putting it ahead of the United States’ estimated imports of 7.2 million bpd for April, Reuters data show. While China may drop back to second place in some months ahead, it is clearly headed towards overtaking the United States as the world’s top crude importer on a permanent basis. China is already the world’s biggest energy consumer, with oil by far the largest traded energy market. Overtaking the United States means China is the top user of almost all commodities, including coal, iron ore and most metals, with far-reaching implications for markets which continue to shift from West to East. “Being the world’s biggest crude importer should give China more buying power. China’s engagement in the Middle East will continue to change, and it will no longer be the minority player,” said Philip Andrews-Speed, head of energy security research at the National University of Singapore. “China becomes not only more important to Middle Eastern states, but the Middle East becomes progressively more important to China relative to other countries that are importing less oil,” he added. A 60 percent drop in global oil prices between June 2014 and January due to a supply glut encouraged China to build stocks, changing both trade flows and oil politics. Within a decade, oil producers around the world have had to fundamentally adjust their trade routes as U.S. imports fell from over 10 million bpd 10 years ago to around 7 million bpd currently, just as China’s imports have risen seven-fold. The Saudi-led decision by the Organization of the Petroleum Exporting Countries (OPEC) in November 2014 not to cut production despite the slide in oil prices has been largely motivated by an effort to defend market share against outside competitors like Russia or U.S. shale producers. China’s nascent role as the world’s top crude buyer is also impacting trading. The crude market has been traditionally dominated on the buy-side by Western oil majors such as ExxonMobil, Royal Dutch Shell, Chevron or BP or merchants like Vitol [VITOLV.UL] and Mercuria. Now, Chinese traders are increasingly active. Companies like Unipec or China Oil, the respective trading arms of Chinese national oil companies Sinopec and PetroChina, have entered oil markets on an unprecedented scale. With prices still relatively low, China’s demand is expected to rise.